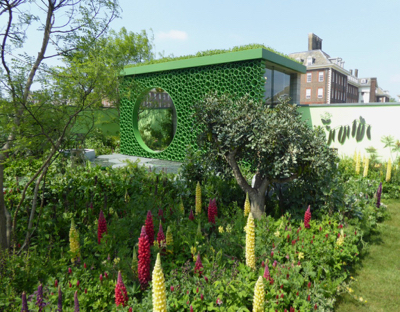 Another year, another Chelsea Flower Show! I was worried that it may turn out to be a disappointment like the 2017 show was, with very few of the large Show Gardens to enjoy, but the numbers were up this year and there was actually plenty to see. 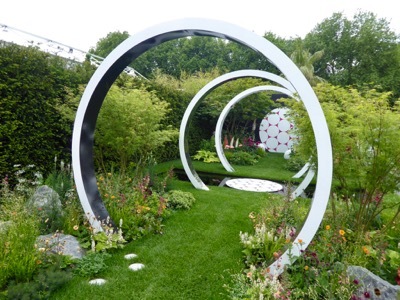 That said, the overall winning show garden (‘The Morgan Stanley garden for the NSPCC’) was actually very difficult to see! We mere mortals who pay for tickets to the show don’t have the honour of being ‘allowed’ in to wander around the gardens and see them from every angle, so the view looking into the garden from outside is critical. There were 2 gardens this year where I just couldn’t get any sense of what was going on because the visibility was so limited. One was the Morgan Stanley Garden, and the other was the ‘Spirit of Cornwall garden’. I’m sure they were both lovely, but I’ll never know for sure! 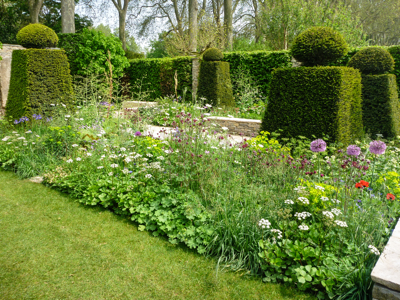 There are always a few contentious gardens where visitors to the show just ‘don’t get’ what the garden is about. 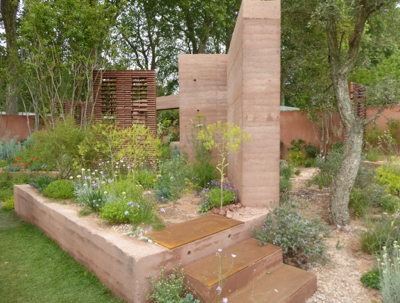 This year I think the main contender was probably ‘The M&G Garden’ by Sarah Price which won a gold medal. For someone looking for a quintessential English garden, this was far from it. 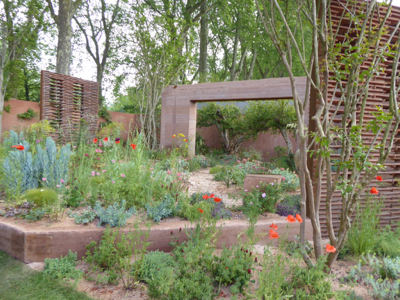 Colours were muted, the planting was sparse and made up of Mediterranean drought-loving plants, and the hard landscaping had a distinct dusky pink hue. So all in all, not very British! I liked it, and am always pleased to see something original at the show – that’s why I go! 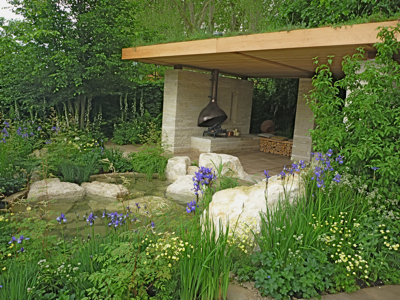 Perhaps not surprisingly, two of the BBC/RHS People’s Choice Award winners were very traditionally English in style, although at opposite ends of the design spectrum. Mark Gregory’s ‘Welcome to Yorkshire’ was beautifully built and a very lovely slice of Yorkshire sitting in the middle of London. As a (proud) Yorkshire woman I could appreciate how realistic it was and the attention to detail was phenomenal. 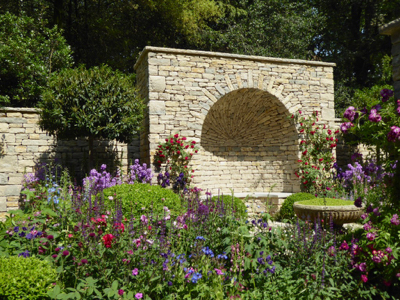 As a total contrast, in the artisan garden category ‘A Very English Garden’ was a much more formal affair, but had some stunning stonework and really beautiful planting. I’m not generally that keen on the artisan gardens as so many of them try to pack too much in (in my humble opinion), but this was a classy little garden. The third People’s Choice winner was also one of my favourites. 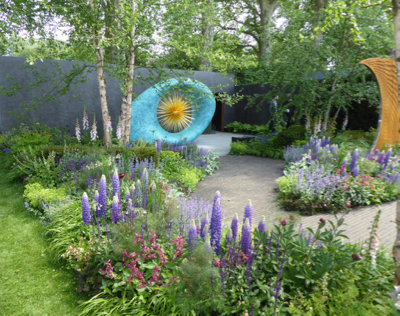 This was ‘The Silent Pool Gin Garden’, designed by David Neale. 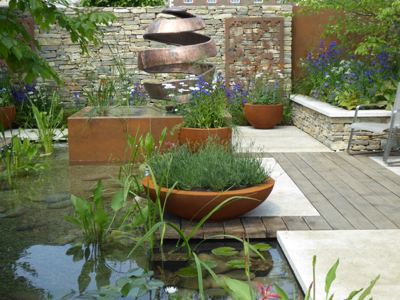 It was a very attractive contemporary garden with a calm atmosphere, a lovely mix of materials, and all very well executed. 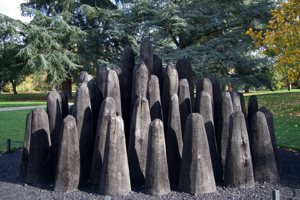 It felt like the sort of stylish garden which would translate very well to a domestic setting. ‘The Trailfinders Garden South African Wine Estate garden’ illustrated an interesting mix of influences with its Cape Dutch homestead building, a very romantic front garden in what we’d think of as an English cottage garden style, and then beyond the garden boundary a section of vines, merging with an area planted to represent the wild South African landscape. 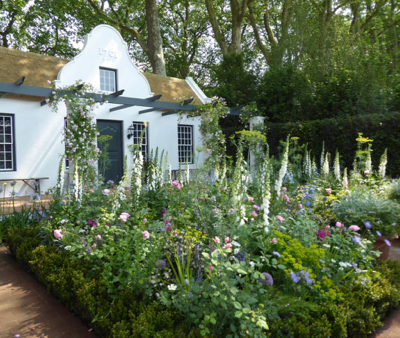 It was a really nicely put together garden, and as my companion at the show is very familiar with South Africa it was good to learn about more about all the authentic details used in the design. 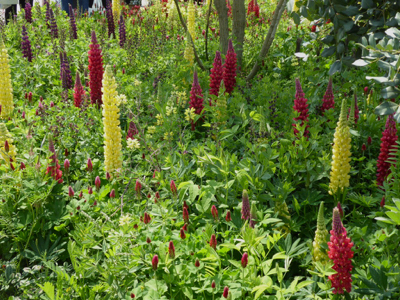 I think plant of the year for 2018 was definitely the Lupin. 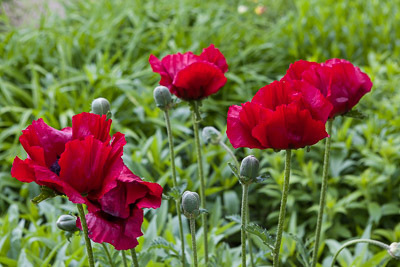 And all I can say to that is there are clearly no slugs allowed at the Chelsea Flower Show! Two of my favourite small gardens (both in the ‘Space to Grow 2018’ category) featured stunning Lupins. One was ‘The Seedlip Garden’ which was stuffed with Lupins and all the species of plants used in the garden were related to the pea family. I also came away with serious ‘Peavilion’ envy (their name for the pavilion, not mine I promise). 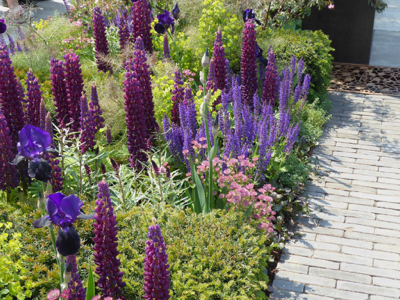 Lupins were also used to great dramatic effect in the ‘Urban Flow’ garden which had a subtle mix of materials and planting, and some lovely metalwork throughout. 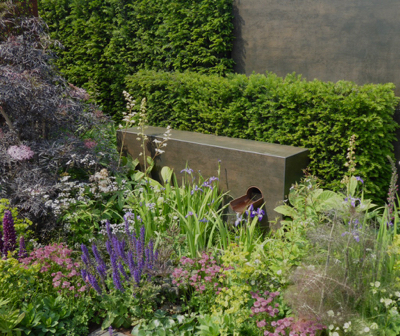 This garden won a gold medal for the designer Tony Woods. 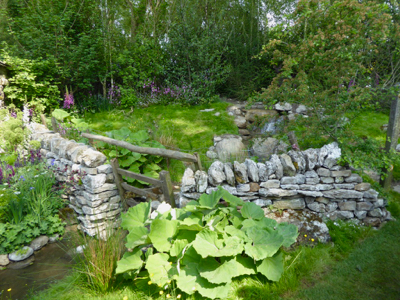 Another of the main show gardens I enjoyed was ‘The David Harber and Savills Garden’. 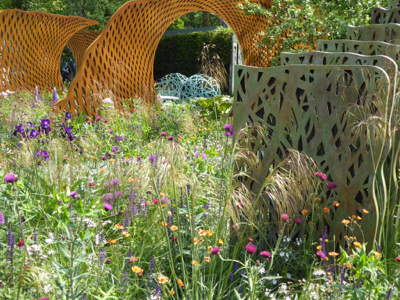 I liked the steel screens and the relatively simple layout which was set off by some very nice planting (including – wait for it – lupins!!). With the usual stunning array of plants in the pavilion, some warm sunshine and a nice drop of Pimms at lunchtime, I have to say that all in all it was a good show this year. I’ll be back for more in 2019 no doubt!